Celery health benefits are numerous and the reason why it is a part of our green juicing recipe! We wanted to share with this article with you which was originally posted here. Celery health benefits include the fact that this simple veggie is loaded with vitamins and minerals. Another benefit is you burn more calories in chewing it then you actually consume in eating it. Let’s face it: celery is not much to look at. In fact, in many recipes its kind of an afterthought, adding texture and subtle flavor to the more “spectacular” foods. When it comes to nutritional value, however, this simple vegetable is a powerhouse of vitamins, minerals and other phytonutrients which science confirms can stop breast cancer cells from growing. In addition to all this, celery also has some unique properties which categorize it as a super antioxidant and anti-inflammatory. Research has identified close to a dozen antioxidant phenolic nutrients that can protect against oxidative damage to blood vessels, organs, and cells themselves. According to a recent Fox News study, 74% percent of Americans suffer from some sort of GI discomfort. Celery can be a source of significant relief for the gut too since it’s pectin-based polysaccharides can help calm digestive system inflammation. A 2010 report published in the journal Pharmaceutical Biology found that the flavonoids in celery can protect the lining of the digestive tract from ulcers. Other research has discovered that apiuman, a polysaccharide substance found in celery, helped balance stomach secretions in an animal model. A 2009 British study also found that celery intake can fight stomach-centered stomach infections such as H. Pylori. And still, other investigations show that celery can improve cardiovascular health, cognition and liver function. But what about cancer? It turns out that celery contains cancer-targeting substances as well, in the form of two flavonoids– apigenin and luteolin. What these studies and others prove is that consuming celery has the ability to affect cancer cells and the mechanisms which promote them in several ways, and at the molecular level! Humans have been gathering, harvesting and eating celery for thousands of years. According to experiential research conducted by the George Mateljan Foundation (GMF), if you are planning on cooking your celery, steaming is the best way to go. After 10 minutes of steaming, celery maintained about 90% of its antioxidant value. In addition, other studies have found that celery is at its best when it is kept refrigerated, chopped right before consumption and eaten within 7 days of purchase. Bottom line? You guessed it! Celery—that humble, inexpensive, often-overlooked veg that is probably sitting in your refrigerator right now—is a must-have for a cancer-preventative, Healthy Breast lifestyle. Just make sure it is fresh and organic! Then chop, steam, eat and juice to your heart’s content! 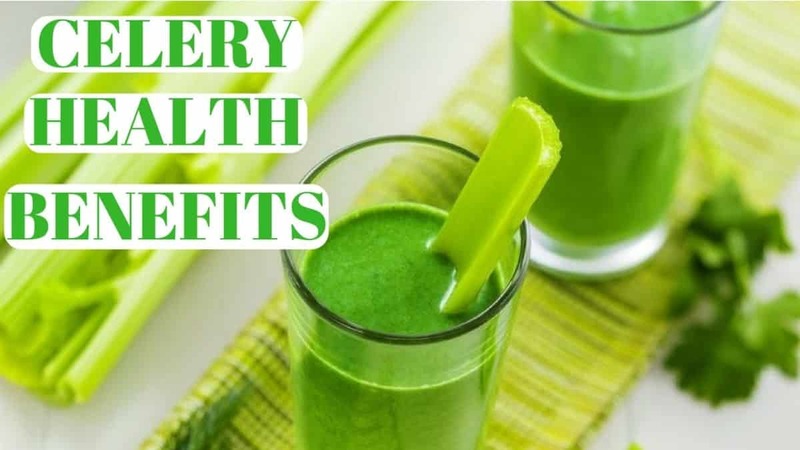 We hope you can see after reading this article posted on Natural News why celery is such an important part of our green juicing recipe at An Oasis of Healing. You can grab a copy of our liquid sunshine for yourself just below.